Nick is a Senior Associate at Harbor. He specializes in data-driven business and focuses on how new data from diverse real world systems and devices are shifting business models and customer behaviors. Nick has strong experience conducting research and analysis on Smart Cities, specifically with regards to embedded networked systems, sensing, low power networking, platforms and other Internet of Things architectures. He has contributed in publishing reports on the impact of IoT across telematics, automotive, energy, transportation, and industrial automation. Nick also brings extensive quantitative research skills to the firm and as helped define and refine Harbor’s Smart Systems market and forecast model. Nick also helps support Harbor’s clients achieve the most from their research subscriptions and access to the model. 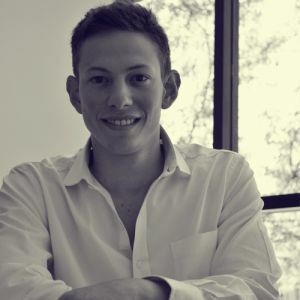 Prior to joining Harbor, Nick worked in research for a French multinational oil and gas company and earned his Bachelor of Arts degrees in marketing and international business from the University of Colorado at Boulder. Nick is fluent in French and English. Nick has a strong passion for analyzing the diverse forces that shape technological disruption. But when he’s not conducting research, Nick enjoys cooking, back country skiing, or curling up to a cinematic classic. As of late, you might find him pursuing his latest endeavor: jiu jitsu.